Another way to discover Lyon! 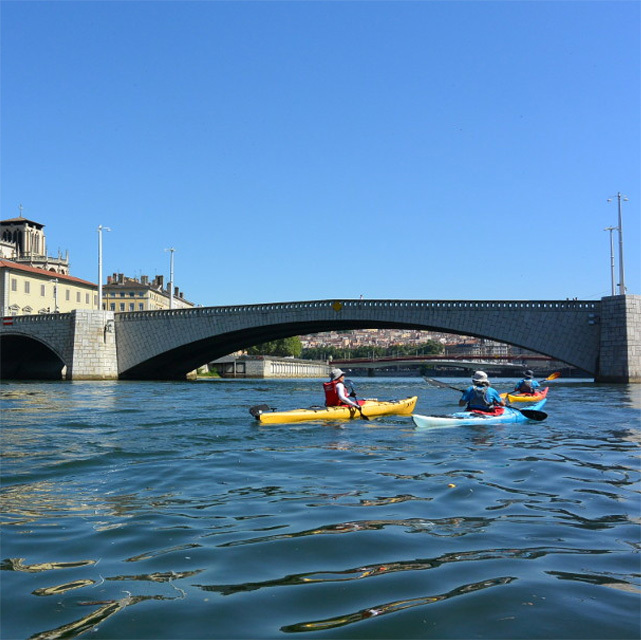 Along the water, discovering Lyon on another side, navigating on the rivers of Lyon through an exceptional heritage. 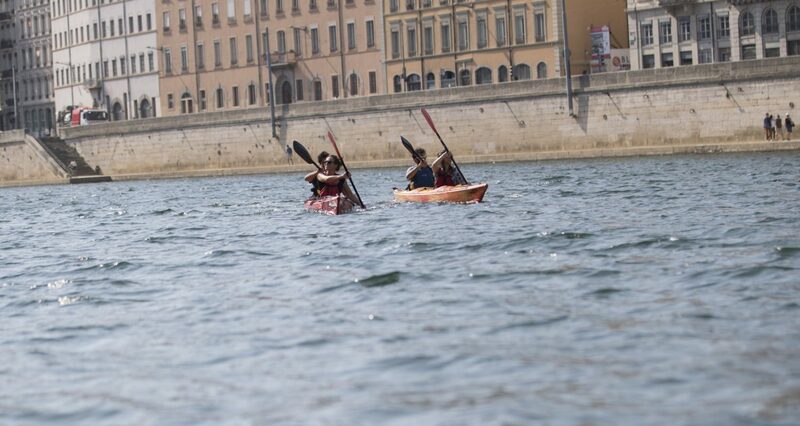 Paddling through the city before discovering the new district of Confluence, a stop on the marina, before meeting the Rhône-Saône confluence and then join our nautical base. With Lyon-Canoë, canoeing, kayaking, or stand-up paddling, share an exceptional experience. When booking, you choose your course, the date and the duration of your activity. In case of departure upstream of our base, we do not provide shuttle service. You will have to go to the departure point via public transportation. The Lyon metropolis has many way to come upstream (metro, tram, bus, Vélo’v).